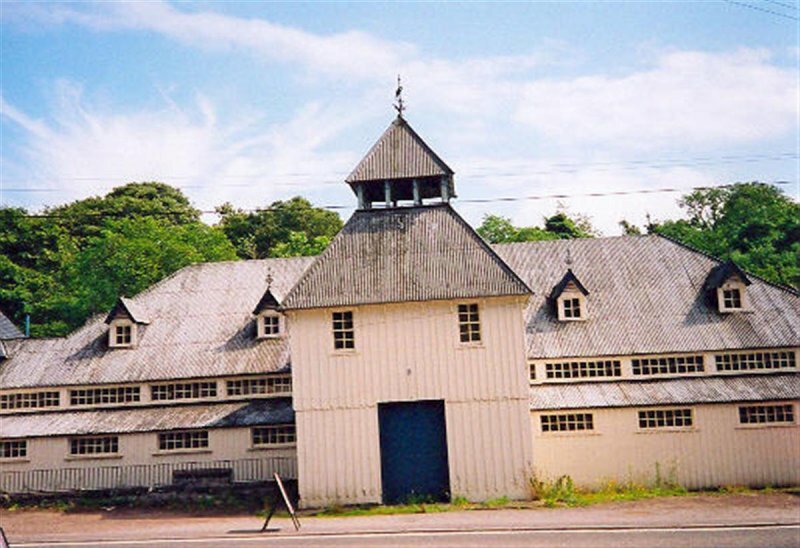 Large low-aisled big-roofed military drill hall, predominantly timber construction. House adjoining at front left apparently later additional c.1910. Hall surrounds a later 19th century red sandstone caretaker's house at rear. 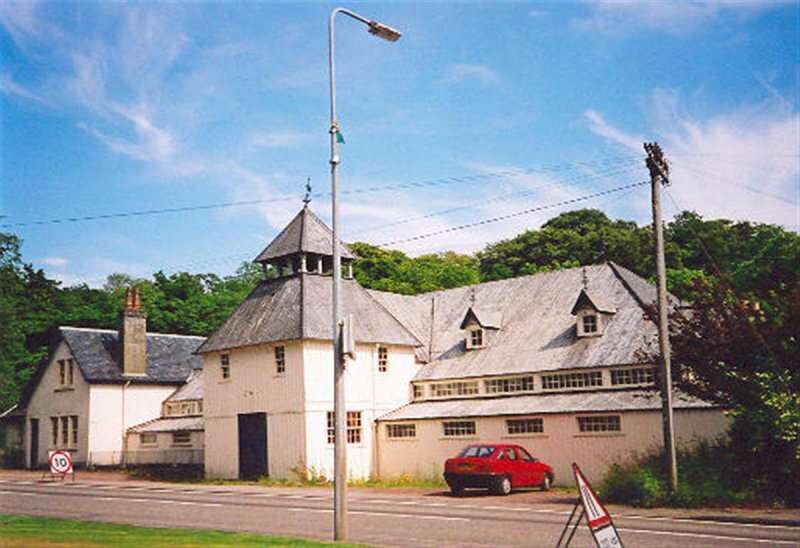 12 November 2003: The Northern Times reports that the building is in poor condition, and may be demolished to make way for a car park and picnic area. Golspie in Bloom has suggested that it could instead form a youth hostel. 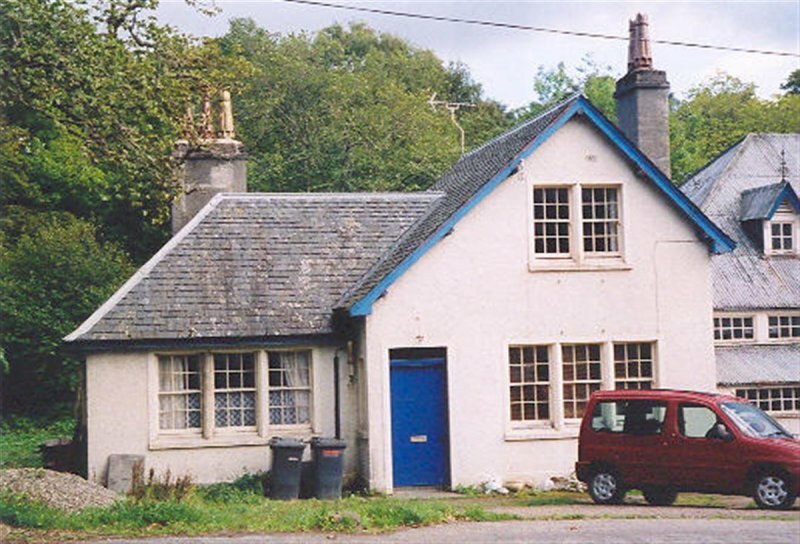 21 January 1994: The Northern Times reports that demolition has been held in abeyance to allow Golspie in Bloom to progress the youth hostel plans. 4 March 1994: The Northern Times reports that the Architectural Heritage Society for Scotland has visited the building. 27 May 1994: The Northern Times reports that the Royal Commission on the Ancient and Historical Monuments of Scotland has undertaken a survey of the building, which has stood unused for about 14 years since being vacated by the Territorial Army. 25 June 1994: The Aberdeen Press and Journal reports that a public meeting is to be held to discuss the conversion plans. The building is owned by the Sutherland Estate. 21 July 1995: The Northern Times reports that a London architect has expressed an interest in converting the building into an art gallery. 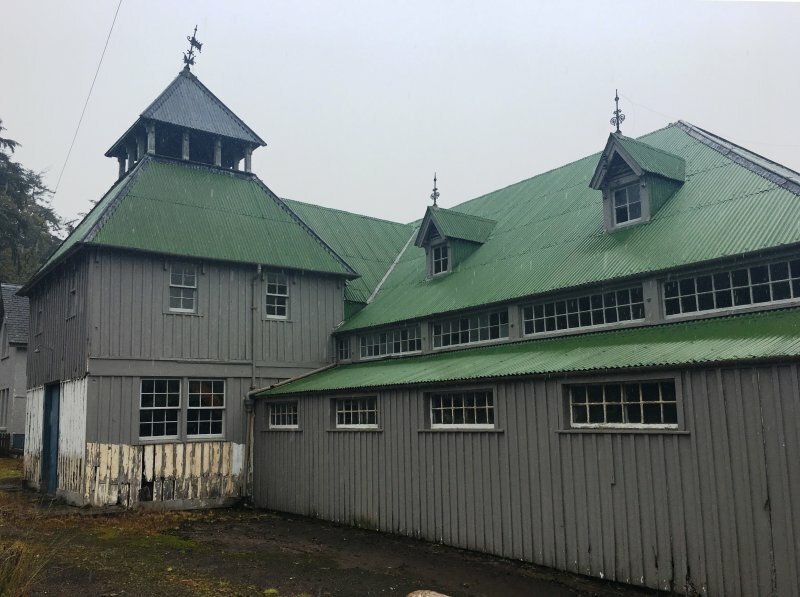 1998: Sutherland Estates carries out maintenance works on the building and indicates that it would be willing to dispose of it to the local community if a new use could be found. 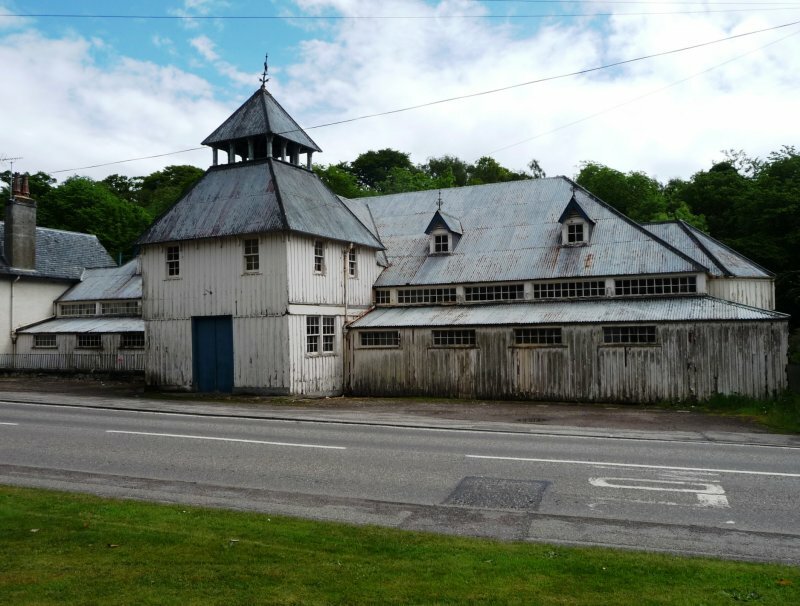 1999: The Architectural Heritage Fund awards £5,000 to Highland Building Preservation Trust to undertake a feasibility study. July 2000: External inspection reveals the building to remain at risk, though part of the ground floor is leased to a charity shop. The roadside elevation has been repainted. November 2002: Local planners report that the building is now under new ownership. October 2004: External inspection reveals the hall to remain vacant and unused. June 2006: LPA reports that some restoration work has taken place. 12 November 1993: Northern Times reports on plans to demolish drill hall and convert site into car park, 12/11/1993. 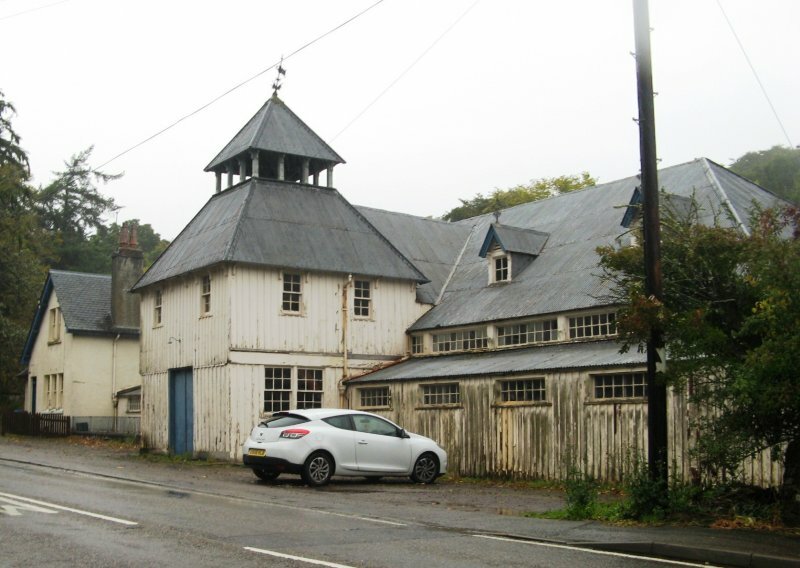 21 January 1994: Northern Times reports that plans to demolish the drill hall and convert the site into a carpark have fallen through, 21/01/1994. 4 March 1994: Northern Times reports on more possible uses for old Drill Hall after vice president of the Architectural Heritage Society of Scotland pays a visit, 4/03/1994. 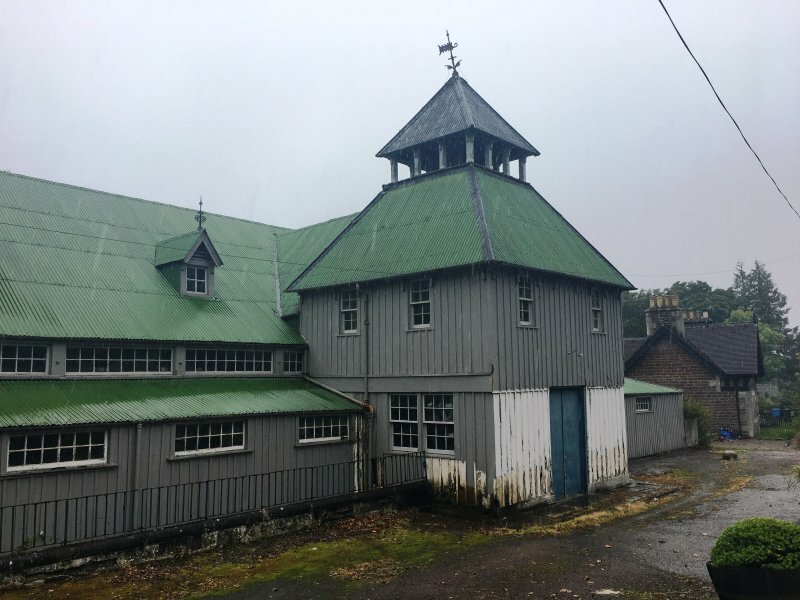 27 May 1994: Northern Times reports on future of drill hall after a meausered architectural survey carried out by the Royal Commission on the Ancient and Historical Monuments of Scotland, 27/05/1994. 25 June 1994: Aberdeen Press & Journal reports on plans to convert drill hall into a cimmunity hall by villagers, 25/06/1994. 21 July 1995: Northern Times reports that London architect Nelson Meredith plans to purchase drill hall and convert to art gallery, 21/07/1995. 30 January 1998: Northern Times reports community use sought for old drill hall and could cost £400,000 to repair, 30/01/1998. 19 June 2012: External inspection finds the building remains derelict and continues to deteriorate. 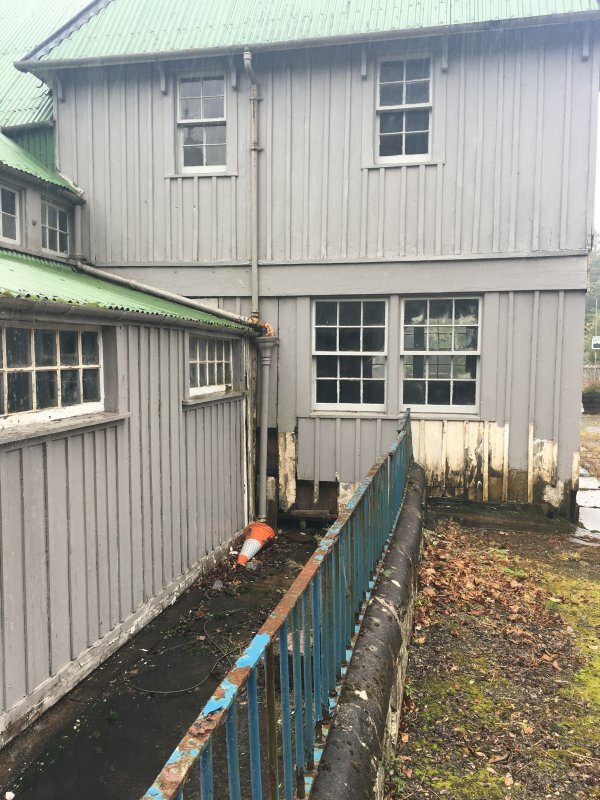 The timber front elevation is in very poor condition. The roof is beginning to rust. Moved back to At Risk. 3 October 2013: External inspection finds the building remains in the same condition as seen previously. 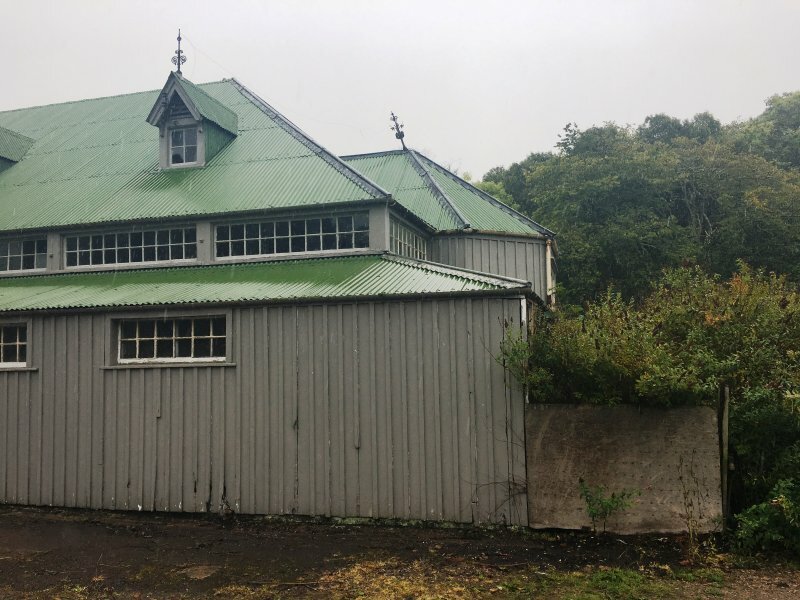 18 September 2018: External inspection finds the building remains in overall poor condition. The exterior panelling has been mostly painted gray since last visit but this is deteriorating. The timberwork at ground floor level of the central tower has deteriorated. Some of the ironwork finials are damaged. Rainwater goods are blocked and in need of maintenance. There is a new roof. 1 November 2018: The building was re-assessed for listed status at category A, from B, in 2016. Record updated accordingly. Beaton (1995), pp46-47; Gifford (1992), p581.